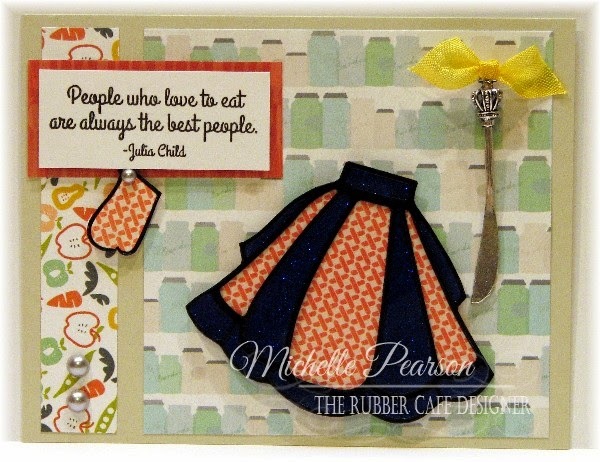 It's time to share another card featuring The Rubber Cafe's Now We're Cooking Creative Cafe Kit! 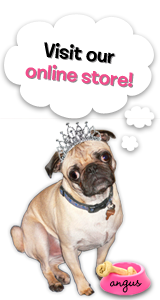 I'm sort of the *glitter girl* at The Rubber Cafe', when I saw the fun stickers included in the kit I couldn't decide whether I should glitter them or paper piece them! For this card you get both! I placed the sticker on a piece of acetate from some packaging that always seems to be coming home from shopping expeditions. I glittered the blue and then put paper under the acetate piece for a paper pieced effect. I popped all of the elements up on foam tape and added a few pearls from the kit that also are the perfect embellishment. 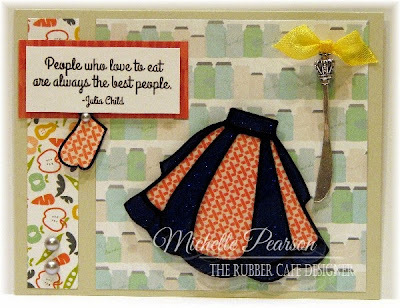 Stamps, Stickers, Papers, Ribbon, Pearls, Embellishments: Now We're Cooking Creative Cafe Kit.